Flamingo Valley is now ready to be occupied as it has been granted BCA Temporary Occupation Permit (TOP) in August 2014. 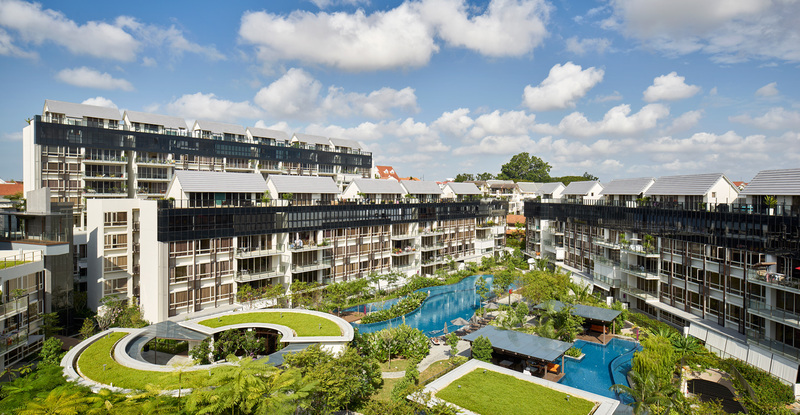 Flamingo Valley Condominium is conceived as an ‘Urban Resort’ – a premium residential development where the residents can enjoy the tranquil tropical resort setting in urban city life. The design capitalizes on the conspicuous site profile where there is more than 10m in height difference between the entrance drop-off/Upper Deck and Lower Deck. Tall and hovering spaces are created to capture a feeling of hill-like greenery to transform the experience delivered by architectural volumes.